FEATURES Natural selection, healthy and environmentally friendly. 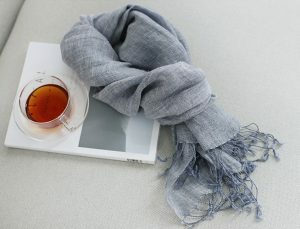 This scarf is made of high-quality cotton and linen fabric. The linen content is higher than that of cotton. 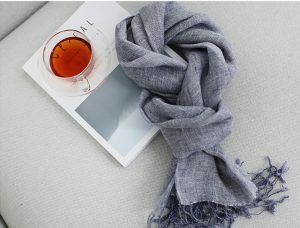 It has the unique texture of linen, not the soft texture of pure cotton. It is comfortable and breathable to wear, absorbs moisture and absorbs moisture, is refreshing and dry, and does not tie the neck. 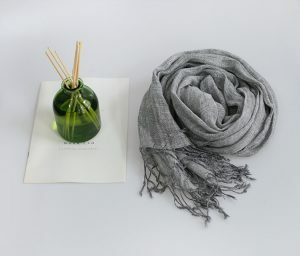 The scarf has a linen texture, natural bamboo knots and cloud-like markings, and the art is fresh. 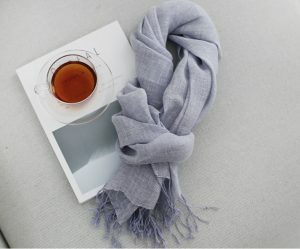 As time goes by, linen fabrics will be softer and more skin-friendly.